Sometimes you encounter slasher girl fodder that is more disarmingly beautiful than usual. Tanya Roberts in David Schmoeller's Tourist Trap starring a gone batshit doll-making Chuck Conners in need of a paycheck is a definite example. In a glorious case of female objectification; on the grounds of "teh hawtness", Ms. Roberts ranks along side Marianne Walter in The Toolbox Murders (1978) starring a gone batshit flesh-craftsmen Cameron Mitchell in need of alcohol money. HAWT. 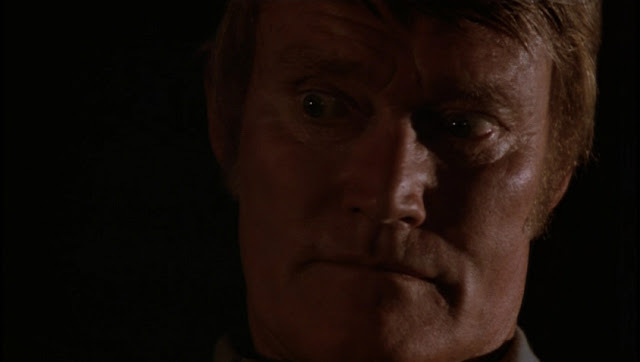 And yes, I'm talking about both Tanya Roberts AND Chuck Connors. This flick is a personal fave. Even though Tayna Roberts was a favorite of mine, I still have yet to see this film. It's on my queue. I even liked her latter work on That '70s Show!